The Button Corporation, a company specializing in… buttons as you may have guess, has introduced a new version of their bttn connected button with Sigfox connectivity in the US. It works a little like Amazon Dash, but mostly targets businesses, offers more features, and works anywhere with a Sigfox network. 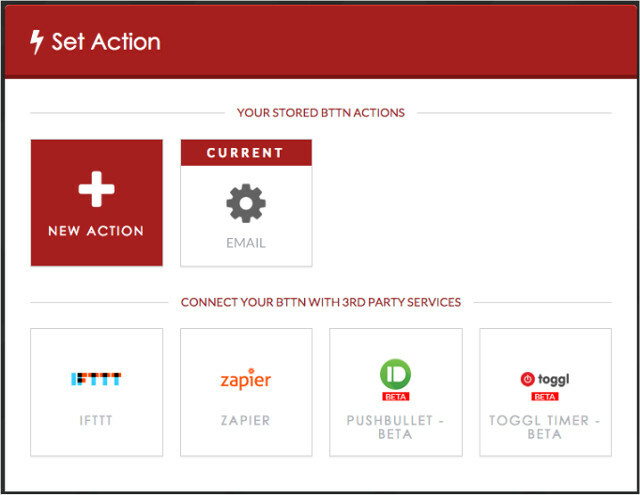 bttn devices send data to bt.tn cloud server, or for WiFi bttns to a local server, and support HTTP(S), REST API, IFTTT, Zapier, email, SMS, social media, and more. my.bt.tn website allow for remote management,group configuration, and status monitoring, automatic alerts, usage statistics and analytics for your bttns. Companies can also ask the company to customize the bttns with their own logos. Some use cases include pressing the button to re-order a product, for example a bttn provided by your heating oil supplier may allow you to press it to get a refill, or bttn could also be used to rate the service at government offices: short press service was good, long press service may need improvement, etc… The system will also monitor the battery level, and send an email once it’s below 15% so that the battery can be replaced or recharged. The battery lasts for about 2000 presses. The company is now taking pre-order with the service launching in March for $1.99 per month in the US. The press release does not mention it, but bttn is also available in Europe for 1.99 Euros per month right now based on the specs, and information on bttn Sigfox page and the online shop, with more countries and regions to be supported as Sigfox coverage expands around the world. The initial costs is actually 69.00 Euros including a 2-year free subscription to the service. That would be one the best use, provided people//kids don’t abuse it.